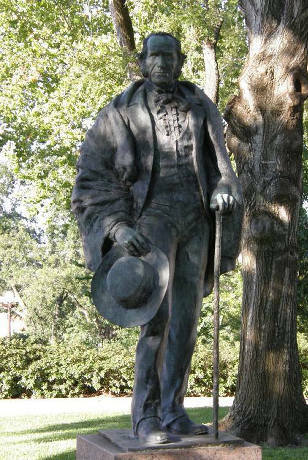 Born March 2, 1793, in Rockbridge County, Va.; son of Samuel and Elizabeth Houston. Moved to Tennessee in 1807 with widowed mother and her family. 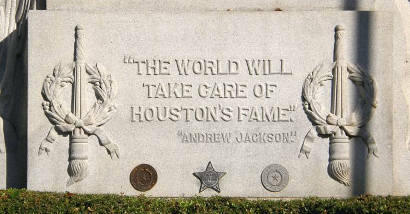 In 1813 joined U.S. Army under Gen. Andrew Jackson, with whom he formed lifetime friendship and political ties. In Tennessee, taught school, kept a store, served in U.S. Congress, was state governor. 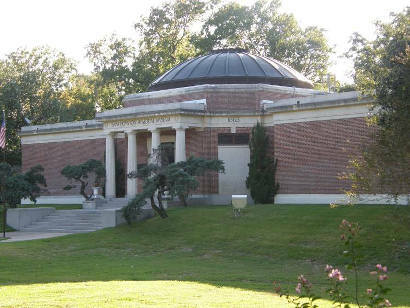 In 1829, after his young bride left him, resigned as governor and went westward. 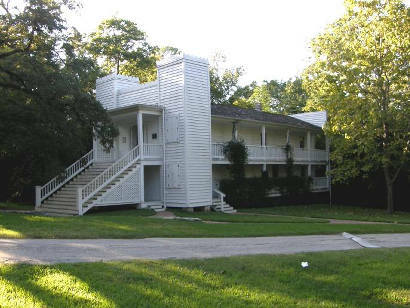 Settling in 1833 in Nacogdoches, became a leader in cause of Texas independence from Mexico. 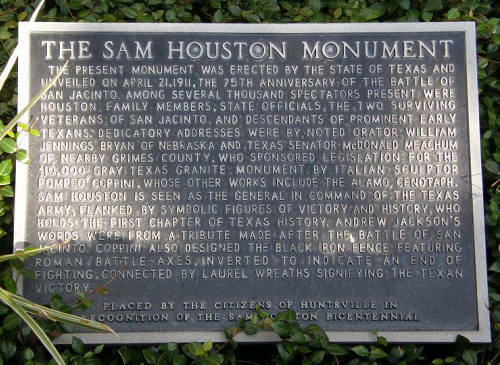 Elected March 4, 1836, to command the Army of the Republic, engineered retrograde movement that led to victory of San Jacinto, which won Texas independence. President of the Republic, 1836-1838 and 1841-1844, he was senator after annexation. 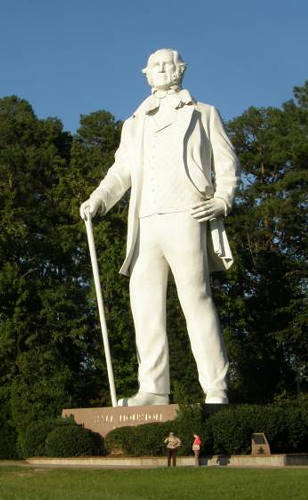 In 1859 he was elected governor, and served until secession. In 1861 he declined to take oath of office in Confederacy, retiring instead after a quarter-century of service to his state. 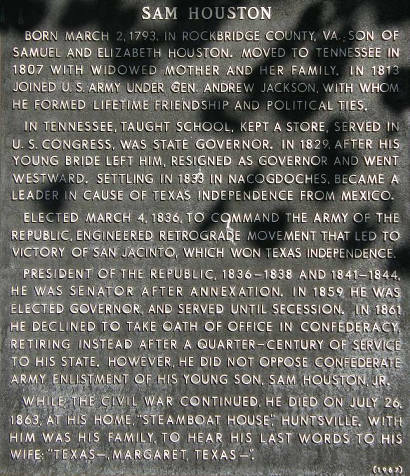 However, he did not oppose Confederate army enlistment of his young son, Sam Houston, Jr. 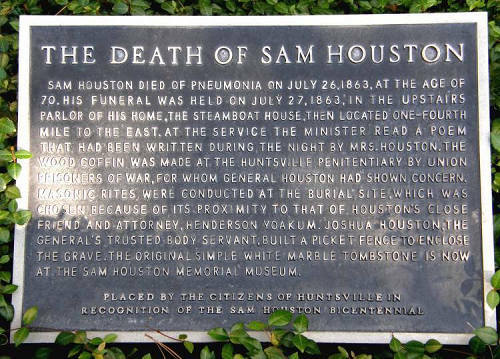 While the Civil War continued, he died on July 26, 1863, at his home, "Steamboat House," Huntsville. 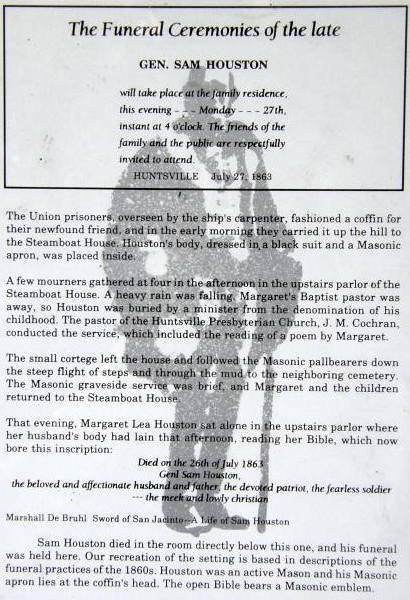 With him was his family, to hear his last words to his wife: "Texas--, Margaret, Texas--". 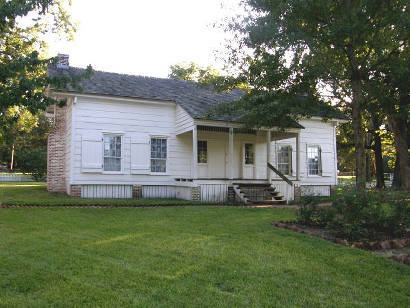 The Battle of San Jacinto, which began with a skirmish on April 20, 1836, and ended with a full, if brief, battle the next day, determined the fate of an independent Texas. 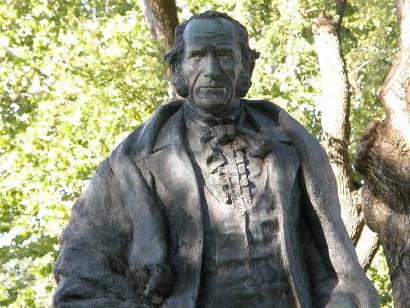 Former Presidents of the Republic of Texas, Sam Houston and Mirabeau Lamar, differed in many ways. Their vastly different visions for the new Republic would do much to shape the future of Texas. "Despite the rocky beginning of their relationship, Sam Houston treated Mrs. Nancy Lea, his mother-in-law, with all due respect..."
In 1886, a half-century after the April 21, 1836 battle, Virginia-born artist William Henry Huddle greatly enhanced Texas� collective image of the aftermath of the fight with the large oil painting which hangs inside the south entrance of the Capitol in Austin. Even with his father's fame, he made a hefty name for himself. "Somewhere in Texas is a sword with a history." 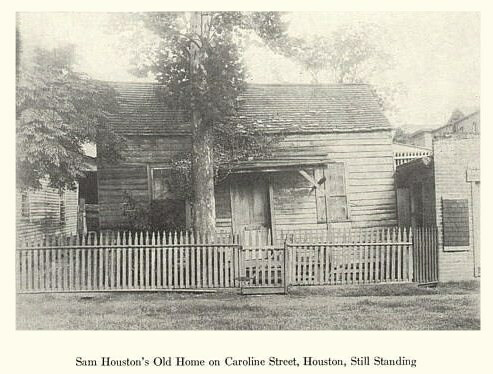 "The song, reprinted in 1928 in a long-defunct Texas magazine called Bunker's Monthly, lies on the pages of the few surviving copies of that publication, long forgotten..."
The man who wrote The Star Spangled Banner had a way with the words, and that's probably why Sam Houston , after beating the tar out of a congressman with his hickory cane, picked him as his defense attorney. 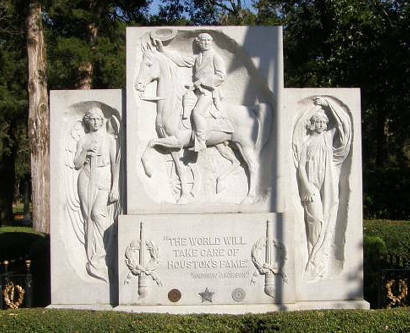 "Sam Houston Memorial Grave and Monument in Oakwood Cemetery. 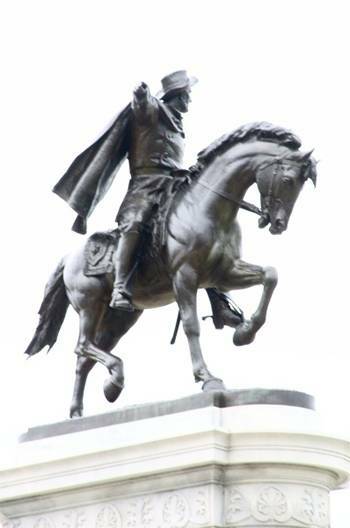 "The Funeral Ceremonies of the late Gen. Sam Houston"
The 40 foot bronze equestrian figure of Sam Houston at the entrance to Hermann Park in Houston.